But somewhere in the highlands we are having scones with clotted cream and jam..
one of those ridiculously, quintessentially English things that people find so crushingly charming about the English. One of those ridiculously indulgent and fun things one does when in the *Highlands as well..
..because the weather is cool, the flowers are in full bloom, the sun is shining and therefore, slather another one of those lovely, crumbly, piping hot scones in cream and a nice jammy top.. pop it in your mouth and say.. Good… Oh so good. *greetings and salutations from Bala’s Chalet in the Malaysian highlands. 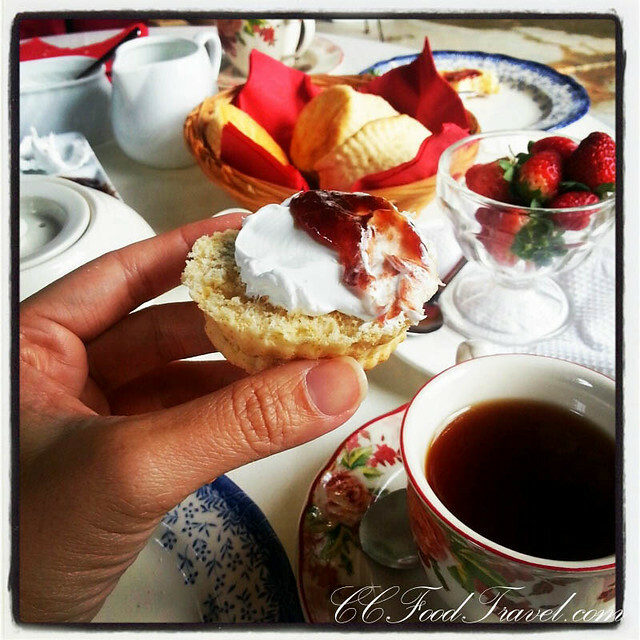 Set amidst lush greenery, rolling hills and majestic mountains, “The Bala’s Holiday Chalet” is a great place to visit for afternoon tea and some scones. It has a serenity and country charm, that’s hard to beat in any part of the world (save maybe England!). 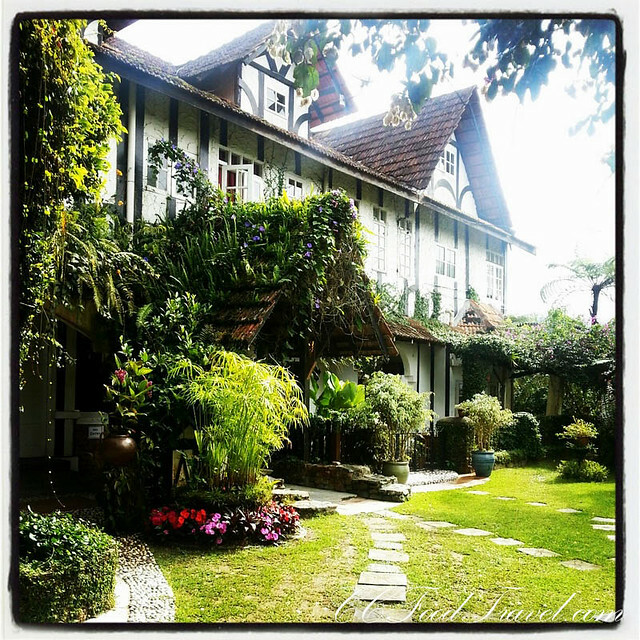 Situated in one of Malaysia’s most pristine natural forest in the Cameron Highlands, the cool air combined with unspoilt beauty amidst natural surroundings makes it the perfect place to chill out with your mates over a cuppa. Luv our Foodporn? Luv our FB! Cheers! Hmmm, scone and strawberry, I like! These photos remind me of the scone I had in Tisane. I heart scones. Starbucks has these delicious pumpkin scones. The ones in the pictures above look great. LOL starbucks?! OK … haha. 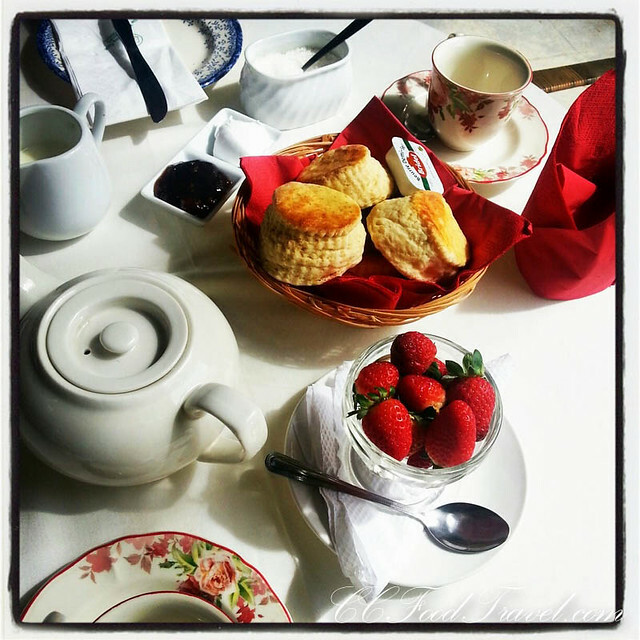 well these are really delicious Ted.. especially with tons of clotted cream and jam! it really is a charming getaway!